SOUTH AFRICA’S media have been reporting on the surprise verdict by the country’s health professions council. The HPCSA ruled last week after a six-year hearing into the affairs of Dr Wouter Basson, the head of the apartheid regime’s Project Coast. The secret biological weapons programme which flooded townships with methamphetamine, mandrax and MDMA has come under increasing scrutiny as the head of the programme, Dr Wouter Basson was found guilty of unethical conduct. This is after an earlier criminal case brought by the state was thrown out due to “lack of evidence” in 2002. 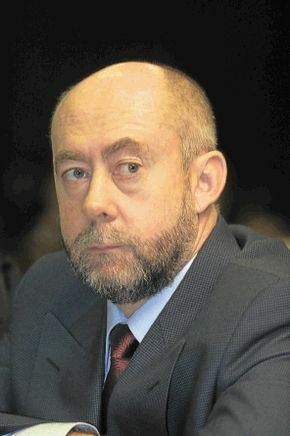 Basson has admitted to producing a number of biological and chemical weapons used in the assassination of anti-apartheid activists and the murder of members of the liberation movement, however the full extant of the secret dirty tricks programme code-named Project Coast has only now become clear. The project’s research, interrogation and brainwashing methods may have inadvertently been revealed during the course of cross-examination. “In the light of all the circumstances, the breaches amount to unprofessional conduct… the respondent is guilty of unprofessional conduct,” HPCSA professional conduct committee chairman Prof Jannie Hugo said in Pretoria. Hugo said Basson contravened international protocols and conventions. These were the Geneva Declaration of 1948 and the UN convention on the prohibition of and stockpiling of dangerous weapons. Hugo said if a doctor decided to use his medical knowledge and skills and consequently contravene medical ethics, he should deregister as a medical practitioner. The six-year-long inquiry related to Basson’s involvement in South Africa’s own MK Ultra, The dirty tricks programme which mirrored other such programmes under the Nixon administration. Project Coast was operational between the 1980s and early 1990s.